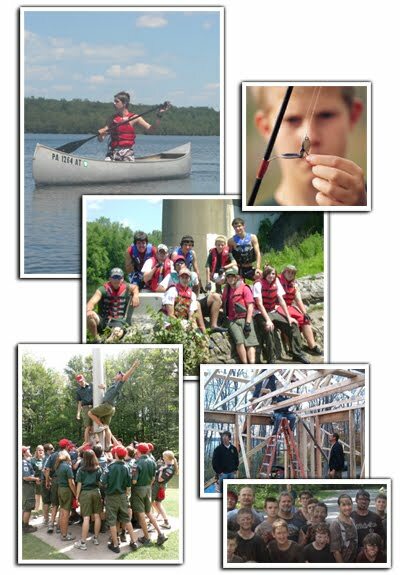 Camp Minsi offers a variety of unique programs for Venturers and Venture crews. These fun and exciting programs are designed to help young men and women experience outdoor high adventure, pursue special interests, develop leadership skills, and become good citizens. Camp Minsi offers fun and exciting high adventure programs for Venturers and older Scouter; includes climbing, whitewater rafting, hiking, biking and more! Did you know that Camp Minsi offers exciting summer opportunities in a variety of staff and volunteer positions? Camp staff provides a unique and exciting outdoor work experience for Venturers of all ages. Crew 940 is a Venturing crew focused on service at Camp Minsi. The crew holds monthly service and fellowship weekends at Camp Minsi throughout the year.